Albert Ayzenberg photographing dancers, "it's not just about capturing a beautiful silhouette"
Photographer Albert Ayzenberg was born in the Ukraine, transferring to the United States when he was a child. It was there that he received his first camera. Since I was a little boy I’ve been fascinated with photography. When we moved to the United States my parents bought a Canon Sure Shot Supreme. I had never seen such an amazing camera. It blew my mind, and I started to shoot right away. He is one of a (seemingly) growing group of photographers who are fascinated by dancers. Not surprisingly: as Martha Graham said, “Dancers are the messengers of the gods”, so what a privilege to capture something divine, the perfection of an instrument that we are all born with but very few are able to play to the maximum of its possibility, to discover and share its maximum expression. It can be overwhelmingly powerful. How did Ayzenberg become attracted to dancers? Growing up in Ukraine that’s all you see. Dancers are huge superstars. I have been fortunate to work with the best dancers in the world, including principals, soloists, and corps de ballet. Dancers are amazing to photograph. They want perfection in every frame. 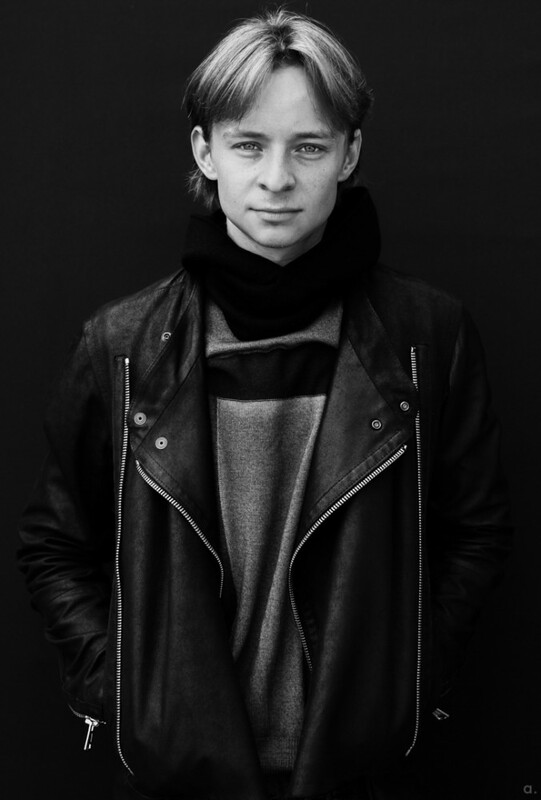 After meeting Daniil Simkin – principal dancer with American Ballet Theatre – and speaking to him, I knew I had to get him on my #BehindtheGlass series. He is an unreal talent. I photographed him and the rest is history. Ayzenberg doesn’t photograph dancers on stage, quite often he doesn’t photograph dancers dancing either, but rather uses the form of their bodies to integrate or contrast with an outside environment. Dancers on the subway, in phone boxes… isn’t it all getting repetitive? To me it’s a fine art project. Dancers are amazing athletes. You can put a ballerina in any location and make art. But it’s not just about capturing a beautiful silhouette against an interesting backdrop. I like to shoot close-ups. The face and the eyes tell a personal story. I try to capture the essence of the dancer in this way… to portray the whole human being. I like to think my photos reveal the intimate side of a dancer in a way that a lot of commercial dance photography does not. I hope the audience finds my images both exquisite and very accessible. Shooting someone en pointe in the middle of Central Park must be exciting? Location shooting is fun, but you need to be careful. Permits are required if you want to shoot in certain places for an extended period. Many times we shoot and leave very quickly! I might only have time to take a couple of frames before the cops tell me to leave or ask for a permit. I love to have that pressure to get that one amazing frame. So if you have a short time to get your shot some planning needs to be done beforehand to not waste time. Especially if you’re placing your dancer in the middle of a road. Know what you want out of the shoot and go after it. I like to pick the location first and then build what we want to capture. In many locations you might only have 10 seconds to get a frame before you get kicked out. I love to show movement in the location, but I prefer natural and soft because I want the location to be secondary. What are dancers like to work with? Dancers are very critical of themselves, so you have to come with a great game plan. I’ve been lucky enough to work with a wide variety of amazing dancers. We’ll go over what we want to capture and how we want the images to come across. My job is to make them comfortable and keep the energy going in front of the camera. It all shows in the frames. They come enthusiastic and eager to create. It’s always a collaboration when you’re working with a dancer. We have a conversation about what might work best and what’s comfortable for them. This is the most important part of the shoot. Over the last couple of years, I’ve done interviews with photographers who use equipment with jaw-dropping price tags. You hear so many people talk about how important it is to have the most expensive camera on a shoot. I disagree. You need to know your camera and how to use it. I use my Canon EOS 5D Mark III with a 24-105mm lens. That’s all you need! 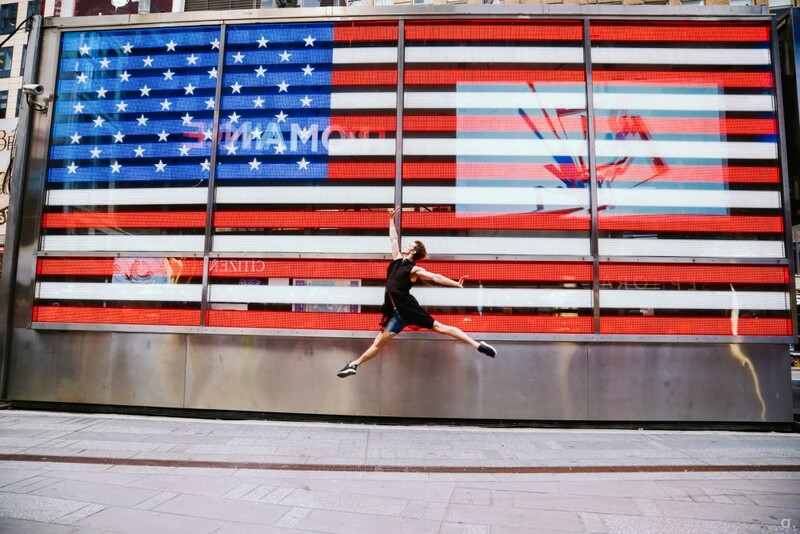 He has teamed up mainly with dancers from ABT, New York City Ballet and Boston Ballet. Any dream subjects? Mikhail Baryshnikov and Misty Copeland! Interestingly, Ayzenberg has also worked as a cinematographer for over 15 years. Cinematographer and photography are a perfect pair. You can tell beautiful stories with both. Filming my daughter’s birth was the greatest production of my life. So, what to do with all these images? My goal is to have an exhibit and create a book. These athletes are amazing! They work so hard and they need to be shown. It would be incredible to see these images in print.